A trail in the Southern Alps with a visit to Europe’s largest collection of bronze age engravings. Ride through the spectacular scenery of the Valle des Merveilles (Valley of Wonders) in the Mercantour national park, crossing the Italian frontier with views of the highest and most beautiful summits of the Southern Alps passing mountain lakes and local wildlife. 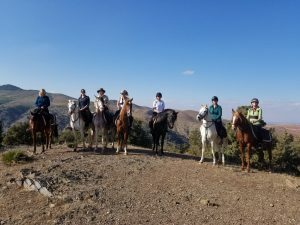 This ride would suit fit, adventurous riders who have an interest in seeing the unique, Bronze Age petroglyphs. Accommodation is in comfortable guesthouses and hotels along the route. 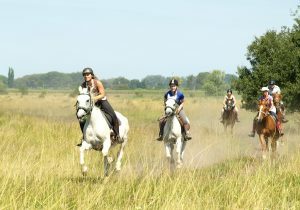 Riding Ability Required: Confident in walk, trot and canter and on steep terrain. Transfer: 2019 From Nice Airport or train station, €65 each way. See below itinerary for more/lower priced options.